Are you looking for a way to promote your brand and get your product or service in front of thousands of people everyday - people who are actually already searching for you? Silver Scope Design offers the best in search engine optimization (or SEO) services. SEO can be a difficult business because the algorithms that drive major search engines change on a regular basis. Therefore, you need an expert in search engine optimization that is up-to-date with the latest and most effective search engine optimization techniques. If you have been searching for a reputable company to handle search engine optimization for your website, Silver Scope Design can help. From optimizing your existing site to building a new website incorporating SEO best practices in our web design process, we are experts when it comes to SEO. Contact us at Silver Scope Design today to request a search engine optimization or website design quote and to learn more about how our search engine optimization techniques can help you. Search engine optimization is the process of designing a website around target keywords and phrases in order to make it relevant to your potential customers' searches. The content of your website and the keywords you use, including how your website is structured are all very important factors if you want your website to rank well for those keywords that a visitor uses to find your website. In addition to including relevant key phrases, your website should provide real value to the searcher or visitor. Google prides itself on being the best search engine because they have very high standards when it comes to SEO. Things like how your website is coded, the quality and amount of content your website offers, and if the keywords you are using are directly relevant to what your website is about are all important factors that come into play with website search engine optimization. 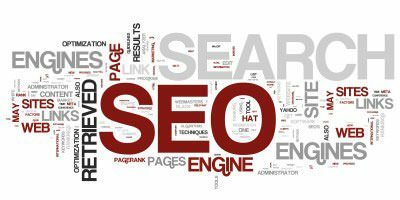 Search engine optimization should also take web-coding standards into consideration. Websites that show errors or are not cross-browser compatible can hurt search engine rankings. Proper search engine optimization can dramatically increase brand exposure and oftentimes the benefits can be seen long after a project is completed. SEO ensures that you are targeting your desired audience and that those visitors will find exactly what they are looking for. A good website that makes use of correct SEO practices will often rank higher in search results and subsequently drive more traffic. Therefore, search engine optimization is a must for every business online and is one of the most important thing you can do for your website. Proper search engine optimization for any website is important and a step that should not be avoided as it can mean the difference between success and failure. Whether you need to optimize your existing site or you are looking to build a new search engine optimized site, Silver Scope Design can help. Contact us today to learn more about our SEO services and how they can benefit your business!